The Family Business sector continues to be vibrant, successful, and ambitious despite tough economic conditions and accelerating pace of change. Family firms are vital to all economies, offering stability, a commitment for the long term, and responsibility to their communities and employees. In fact, family businesses can be an engine for change and innovation. However, despite the extraordinary longevity of individual family firms, the average life span across the sector is three generations. Only very few get past four generations. Not surviving the transition to the next generation may be a sign of a Family Business not achieving their long-term ambitions. Achieving successful business continuity is having the right Succession Plan in place and ready to launch at any point in time. This framework presentation provides a good understanding of Succession Planning and the 10 Steps to Effective Succession Planning. 1. Get experience outside the family firm. 2. 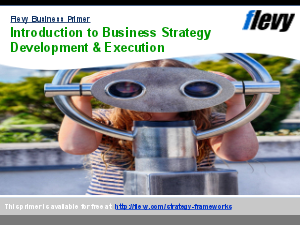 Develop a strategic plan for the medium term. 3. Broaden the decision-making process. 4. Strengthen the role of the Board. 5. Clarify what the retiring generation will do. Having an Effective Succession Plan in place is one way of creating the conditions for the next generation to be successful.